William Hewins, the son of Samuel Hewins, an iron-merchant, was born on 11th May 1865. He was educated at Wolverhampton Grammar School and Pembroke College, Oxford. After graduating with a degree in mathematics, Hewins worked as a university extension lecturer. Sidney Webb and Beatrice Webb met Hewins when they were at the Bodleian Library researching their book on the history of trade unions. When the Webbs founded the London School of Economics (LSE) in 1895 Hewins accepted their offer to became the institution's first director. Beatrice wrote after his appointment: "Hewins, who expected great things, has been depressed and irritable and it has taken all Sidney's good temper and tact to keep things going smooth. Hewins is a sanguine enthusiast, pulls hard and strong when he feels the stream with him, but I doubt whether he has the staying power for bad times. And he has a small-minded little wife always whispering discontent into his ear, suggesting that he is being put upon and that the enterprise will not succeed." Hewins held the post until 1903 when he resigned to work for Joseph Chamberlain and his tariff reform campaign. 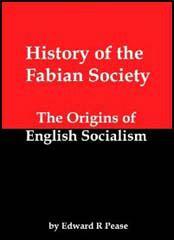 Beatrice Webb recorded in her diary: "Hewins sends in his resignation of the Directorship of the School of Economics. So ends our close relationship with this remarkable man, remarkable for audacity, enterprise, zeal and skill in presenting facts and manipulating persons, most remarkable for confidence in his own powers, more than confidence - an overestimation of them. These qualities have served us well in building up, from nothing, the reputation of the LSE, in steering its fortunes through the indifference and hostility of the London academic and business world, in obtaining and keeping the co-operation of men of diverse views and conflicting interests." Hewins unsuccessfully contested Shipley (1910) and Middleton (1911) but was elected as the MP for Hereford in May 1912. He supported David Lloyd George during the First World War and when he replaced Herbert Asquith he appointed Hewins as Under-Secretary of State for the Colonies in 1917. According to his biographer, A. C. Howe: "In tandem with his friend Walter Long, a like-minded imperial enthusiast, he undertook much work on trade relations with the empire, and helped organize the 1918 Imperial Conference and develop post-war emigration policy.... Hewins's period in office was, however, brought to an abrupt end, for in 1918 he was not invited to contest Hereford (he believed on religious grounds, others believed because he had neglected to nurse the seat), and he became the only Unionist minister not reappointed by the Lloyd George coalition." Hewins retired from the House of Commons at the end of the First World War. 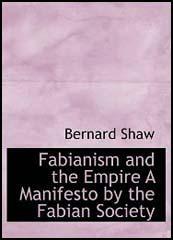 As well as providing articles for the Encyclopaedia Britannica, Hewins had several books published including Trade in Balance (1924), Empire Restored (1927) and the Apologia of an Imperialist (1929). William Hewins died on 17th November, 1931. Hewins, who expected great things, has been depressed and irritable and it has taken all Sidney's good temper and tact to keep things going smooth. Hewins is a sanguine enthusiast, pulls hard and strong when he feels the stream with him, but I doubt whether he has the staying power for bad times. And he has a small-minded little wife always whispering discontent into his ear, suggesting that he is being put upon and that the enterprise will not succeed. Every Tuesday he lunches with us to discuss the affairs of the LSE. He is original minded and full of energy and faith. Shaw always declares he is a fanatic. So he is. But he is also a born manipulator. He is a churchman and an ardent believer in the scientific method in economics and politics. There are now five hundred students. Hewins of course is a little bit over-confident and elated, but that is his temperament. He and Sidney, and to a lesser extent, I myself, make a good working trio. The whole internal organization of the LSE is left to him with suggestions from Sidney. The whole financial side is in Sidney's hands, whilst my domain has been roping in influential supporters from among old friends and connections. Every Tuesday Hewins lunches here and we discuss the affairs of the LSE in all its aspects. He consults Sidney about the curriculum, Sidney tells him the requirements for securing LCC Technical Education Board and University support. Hewins wanted to jump Sidney into increasing his salary from £600 (it was raised from £400 only six months ago) to £800. Sidney agreed to an extra £100 to cover unusual expenses, but refused to make even this permanent. So long as nearly the whole income comes from the LCC (either through the University, £2,400, or through the TEB £1,200) he feels that it would risk all to double the salary of the Director, a personal friend, in twelve months. It is, of course, a delicate position. The LSE has had an extraordinary amount of support from the LCC owing to Sidney's influence. But most councillors regard it as his 'fad' and have acquiesced not on the ground of their own faith in the institution but on account of their confidence in him. Hewins, who has a swelled head over the increase of students and visions of the whole City coming to be educated under his direction, was quite improperly insistent and had to be gently but firmly reminded of the actual dependence of the LSE on Sidney's influence in the LCC. Hewins sends in his resignation of the Directorship of the School of Economics. So ends our close relationship with this remarkable man, remarkable for audacity, enterprise, zeal and skill in presenting facts and manipulating persons, most remarkable for confidence in his own powers, more than confidence - an overestimation of them. These qualities have served us well in building up, from nothing, the reputation of the LSE, in steering its fortunes through the indifference and hostility of the London academic and business world, in obtaining and keeping the co-operation of men of diverse views and conflicting interests.